The app uses a physics-based, touch-driven mind-mapping engine to spring to life over 350,000 words and phrases from the Oxford Dictionary of English (probably the authoritative diction of the language) as well as The New Oxford American Dictionary and The Oxford Thesaurus of English. The app provides users with audio of pronunciations in US and Great Britton’s English. 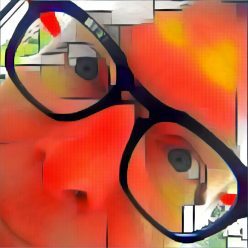 Double touching words allows the user to expand new word trees for that word, save as favorites/bookmark, copy to the clipboard. Users can share Word posters via Facebook, Twitter, photos, email, and printed. 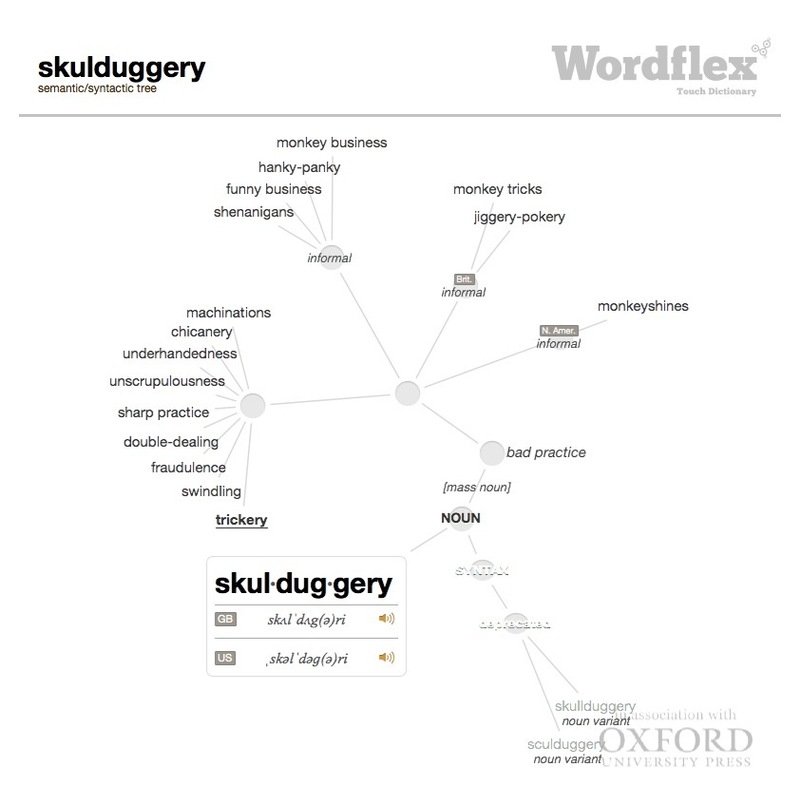 Skulduggery Word Poster from Wordflex: Click to enlarge.